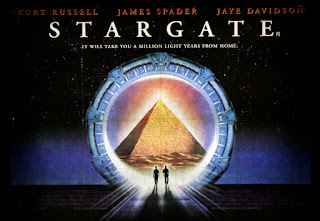 The original movie "Stargate" first came out in the year 1994. This movie was an instant classic. 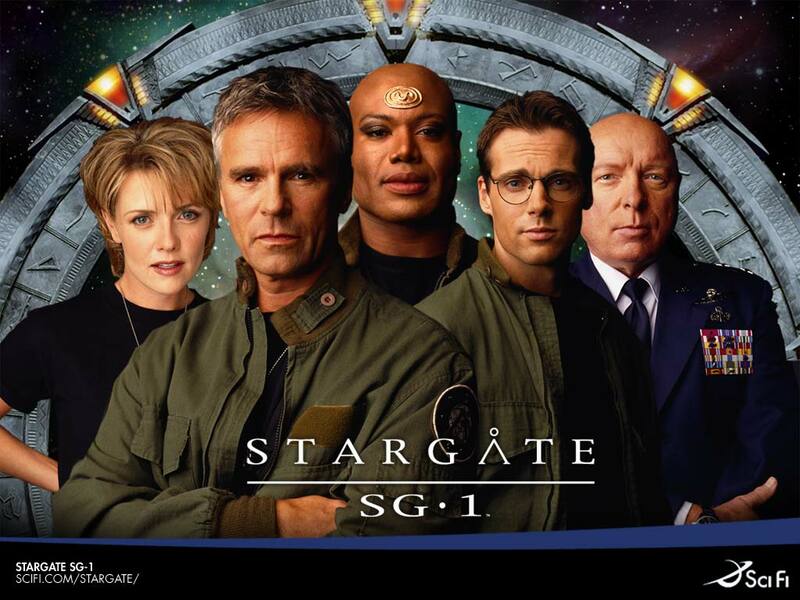 It spun off into a television series called Stargate SG-1. This is one of the most successful science fiction shows of all time, even surpassing X-files. Many people who love science fiction, like myself, can appreciate the fact that all of the scientific theories and laws of physics still hold true in the stargate universe. We all know that with popular fictional television series based on real life scenarios, are actually just that. Real stories retold with key facts changed. For example you have television shows like Bones, or CSI that are incredibly accurate, and actually based on real situations. Sure character names are changed, but some of the spins and twists of the story just could not have been written. They are based on real stories. The reason I mention this is because Stargate SG-1 went on for 10 seasons. This is a lot of time to fill and they seem to do it easily, with every episode being filled with strange data, and hints of a universal intelligence. Unlike Star Trek, or Star Wars there seemed to be more scientific explanations of both alien races, and alien technologies. I am not saying Star Trek wasn't extremely scientific in their approach, but it seems like a lot of Star Trek's scientific knowledge revolved around the "Enterprise" or their ship. Not much emphasis was put on the aliens, or their technology. Stargate seemed to get a little more specific about alien worlds in also. With so many episodes and seasons of Stargate one can't help but wonder where all of this information comes from. In the original Stargate movie a circular stargate is found that contains symbols all around it. A character by the name of Dr. Daniel Jackson figured out how to use the stargate to dial other worlds by opening a wormhole using the stargate. The stargate locks symbols in a sequence, Dr. Jackson however figures out the 7th symbol which is actually the point of origin when dialing out. When Stargate SG-1 came out it takes place 1 year after the movie left off. The Stargate team gets in many adventures going to different planets using the 7 symbol aka chevron dialing system. I wonder if chevron has another meaning. Why were the symbols called chevrons? In Stargate SG-1 the military gets a space battle cruiser called the Daedalus. It is operated by the United States military and on-board this ship they have a true Asgard alien, working as our ally. The Asgard aliens are one of the most advanced alien beings in the Stargate universe and have technology aboard the Daedalus which really makes this a formidable hyperspace capable space battle ship. It also has the ability to transport or "beam" a person or thing from one place to the other. This technology comes to the United States military and the Daedalus ship via the Asgards. The Asgard race is benevolent and does not seem to be a threat to humans. That is of course according to the show. I find this to be very interesting. The main reason being is that the Asgard look very much like the alien grays that we hear are responsible for abductions, cattle mutilations, and crop circles. I've heard the grey aliens being called different things, but friendly is not one of them. The main thing to note about the Asgard, or the grey aliens is that they are definitely working along side high ranking military officials this is made very clear. Do you think our government really works along side these aliens? It makes you wonder what the conditions of that relationship, if any, are in real life. Does our real government make deals with these grey aliens? Do the grey aliens have an X amount of people that they can abduct, and perform experiments on with the permission of the government? This is all kind of scary and the stargate seems to be promoting the idea that aliens and the government have and will continue to work together with aliens without fully understanding their agenda. I do not think this is wise, but the bottom line is stargate hints to the fact that our government is working with the Greys in specific. In Stargate Atlantis (the next show in the franchise), the Stargate team figures out an 8 chevron address. When they dial it they find themselves in the Pegasus galaxy on a planet, in the lost city of Atlantis. This is truly amazing to think about. Could the advanced civilization of Atlantis actually be found today? If they were really so advanced I see how a real stargate would help hide a whole civilization. Does our government have knowledge of stargate technology? Does superior ancient technology exist that could bring us closer to the stars? 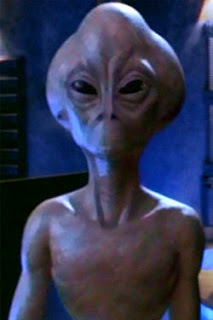 In stargate Atlantis you start to hear about the ancients. The ancients are an ancient alien race that built the city of Atlantis. They built the city 10,000 years before the stargate team arrives. In Stargate Atlantis they speak of the ancient aliens being able to reach ascension. This is where the ancients ascend to pure light energy. This is strange because people around the internet have spoken about the Council of Nine. I am not sure if this is true but contactees have claimed that they have received contact from the pleadian council which explains that we are entering a new stage of consciousness. They also speak of ascension. 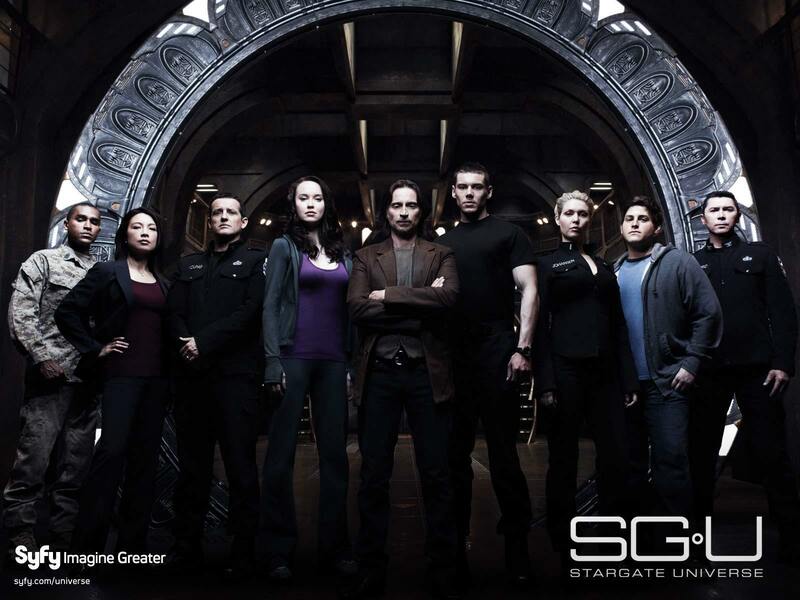 That leaves us with Stargate Universe. 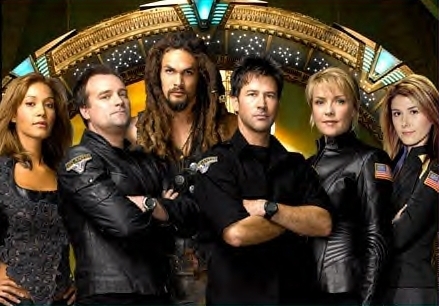 The last show made in the stargate series. In this show Stargate command has found a 9 chevron address that requires a tremendous amount of power to dial. The stargate team given no other choice dials the address from a planet that has the adequate power, only to destroy the planet, and end up on an ancient alien ship known as "Destiny". Destiny is an alien ship that was created by the ancients much like the lost city of Atlantis. This ship is amazing. It contains its own stargate to access habitable worlds the ship may encounter. Destiny has the power to jump into hyperspace much like the Daedalus except unlike the Daedalus the Destiny was built by a far more advanced civilization than the Asgards. The ancients are the ones responsible for building the stargate. The ancients would put a stargate at all the planets of interest. After the crew of Destiny dialed its 9th chevron address they realized why the address took so much power to dial. This is because now they are stranded on the other side of the universe and cannot return to Earth. The purpose of Destiny's mission is to figure out clues of an even more advanced civilization that was here when the universe was created. 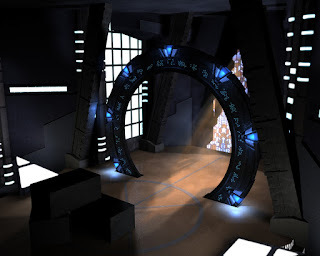 Do you think that the creators of the stargate movie, and television shows might have some knowledge of top secret government stargate-like programs? I believe the reason why they allowed these television shows, and movies to be created was so that when they are spoken about in public everyone is quick to call it fantasy. What do you think? Let me know in the comments. Here are some interesting videos I found on YouTube about the Stargate subject. **UPDATE** I have recently learned that the United States Airforce was not only highly involved with the creation of this television series, but the lead actor was given a real Military rank of Brigadeer General by the United States Air Force. If you have Netflix I recommend you watch the episode called "Wormhole Xtreme" this is where they create a television show for plausible deniability from the United States Air Force. Could this be the true purpose of the Stargate series? Is the Stargate program infact real? Leave comments and let me know what you think. Egypt Pyramid is the StarGate to the Moon. The Pyramids in Egypt are StarGates to Moon.